The election of Donald Trump as president of the United States of America has elicited thousands of lines of newsprint as academics, journalists and the wider public seek to make sense of its implications. It has occasioned no less speculation in Russia, much of it shot through with a strong sense of Russia’s unexpected good luck. A year ago Russia, already isolated over Ukraine, was the target of intense Western condemnation as a result of its intervention on the side of the government of Bashar al-Assad in Syria. Today, things look very different. Though Trump has yet to fix a date for a meeting with Russian President Vladimir Putin, the Russian press has been alive with discussions about how to make the most of the most Russia-friendly incoming administration in American history. One school of thought has gathered around the geopolitical theories of the late Vadim Tsymburskii, a philologist-turned-geostrategist whose writings were re-published by the ISEPI, a leading Kremlin-funded think tank, last December. Tsymburskii, who died in 2009, was among the Western-leaning intellectuals recruited by Soviet leader Mikhail Gorbachev to help reform the USSR. However, by the early 1990s he had become disillusioned with the West’s gospel of social and economic liberalism, rejecting his previous enthusiasm for Russia’s integration into the US-dominated North Atlantic system. For Tsymburskii, Russia’s post-Soviet geopolitics were defined by the voluntary surrender of the Soviet Union’s Western ramparts: the Baltic states, Ukraine, Belarus and Moldova. Acquired between 1650 and 1825, this land bridge to Europe had made both the Russian Empire and its Soviet successor a European great power. Soviet collapse, however, saw Russia’s borders largely return to those of the Orthodox civilisation of pre-Petrine Muscovy. Its roots lay not in the humanism of classical antiquity that Western Europeans had retrieved through the Renaissance but in the quite distinct synthesis of Hellenism and Eastern Christianity embodied in Byzantium. Paradoxically, then, at just the moment when incorporation into an American-led ‘New World Order’ threatened Russia’s native concept of sovereignty, imperial retrenchment offered the post-Soviet Russian Federation the opportunity of once again becoming a civilization in its own right, allied in a special way to the historical culture of Europe, but not naturally part of the ‘West’. Tsymburskii was sceptical of Putin’s early foreign policy, which he considered excessively materialist in its fundamental preoccupations and unduly concerned with proving Russia’s usefulness to Washington. Today, however, his geopolitical outlook resonates with the ‘conservative turn’ that accompanied Putin’s return to the presidency in 2012: the conscious recourse to patriotism and the defence of traditional religious values, often through a prominent alliance with the Russian Orthodox Church. This has since intensified with swelling national pride following the so-called ‘reunification’ (annexation) of Crimea. Yet Tsymburskii also reasoned that to the extent that Russia’s experience of Westernisation had historically been inseparable from imperial expansion, so a foreign policy for a Russian Federation conceived of as a non-Western civilisation must rest on an express rejection of empire in favour of isolation — of becoming an ‘island’, as he put it in a famous 1993 essay. According to this logic, Crimea’s strategic significance, combined with the population’s clear civilizational preference for Russia, forced Moscow’s hand when it appeared that the peninsula might be incorporated into the twinned NATO and EU structures of the Euro-Atlantic world. Yet Russia’s return to an imperial mode on the model of either the Tsarist Empire or the Soviet Union would ultimately entail the subjugation of populations of mixed (as in Ukraine) if not decidedly hostile (as in the Baltics) civilizational loyalties that would impede Russia’s consolidation of its own non-Western identity. So the borderlands between Russia and the Euro-Atlantic civilisation of the West should instead be a neutral space, an interstitial zone whose peoples and nations are free to borrow elements from both of its neighbouring civilisations. Such ‘civilisational realism’, Mezhuev argues, should form the basis of a ‘grand bargain’ with Washington. This satisfies both the Westphalian principle of the integrity of sovereign borders and the Wilsonian notion of the right to national self-determination. It also takes seriously the premise of Huntington’s ‘clash of civilisations’: that having emerged in the very particular historical and cultural circumstances of the West, liberalism is mistaken as a universal creed and its colonisation of the cultural space of other civilisations inevitably provokes a backlash. As Mezhuev seems to describe it, a Tsymburskian vision of twenty-first century European geopolitics would not in practice demand the dissolution of NATO but the return of the disposition of its forces in Eastern Europe to the status quo ante the crisis of 2014. At its heart, however, would lie an agreement that the Western bloc give up incorporating Ukraine, Moldova and, in the Balkans, Serbia, would instead remain neutral. Crimea and Belarus, it is understood, would by contrast belong culturally and strategically an indisputable part of the wider Russian world. As far as the opportunities offered by a Trump presidency are concerned, however, Mezhuev sees the ball as lying largely in Russia’s court. 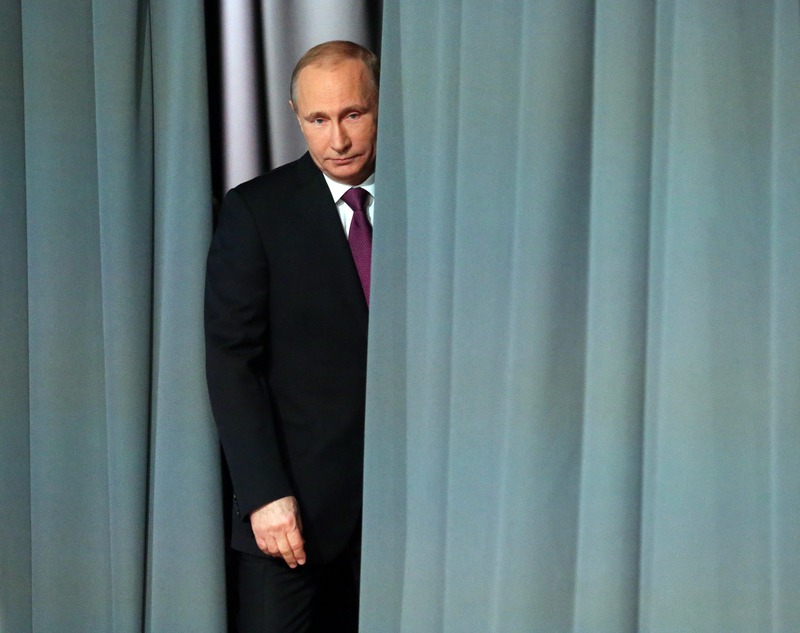 Before a grand bargain can be struck, he says, Russia must decide whether it is ‘a fallen empire longing for revenge’, lying in wait ‘for the right moment to throw itself on its neighbours like a leopard on its prey’ or a ‘geopolitical porcupine’, an image he borrows from Tsymburskii: ‘uncomfortable, difficult, but still not a beast of prey’. To the extent that the Kremlin can answer this question with a coherent view of its interests, 2017 will pose more sharply than at any time since the fall of the Berlin Wall the question of what Russia wants from the United States and the world system more broadly.